A federal judge overseeing a lawsuit alleging south Orange County cities have done little to address homeless or obstructed efforts to solve the problem will also consider a newly filed lawsuit alleging the county is illegally using the cost of shelter as "in-kind" income against welfare otherwise available to the transients. The lawsuit's filing on Monday came a day before U.S. District Judge David O. Carter, who has been overseeing multiple lawsuits by homeless supporters since last year, was set to consider a lawsuit against the county and several south county cities that seeks to stop them from enforcing anti-camping laws. Dana Point and Aliso Viejo. But other south county cities could find themselves involved if they cannot provide proof they offer adequate shelter for transients. Cities cannot enforce anti-camping laws unless they can prove they have enough shelter space available for the homeless. 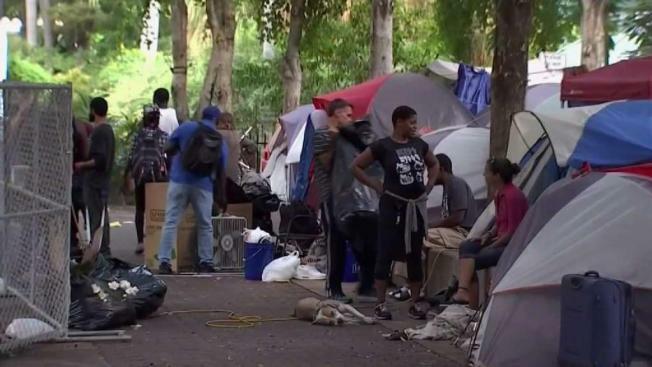 Multiple cities in north Orange County such as Costa Mesa, Orange and Tustin, which faced the first wave of lawsuits stemming from efforts to clear out an encampment along the Santa Ana riverbed, have agreed to settle or are in the process of settling. Santa Ana volunteered to agree to terms before it was served. In the most recent litigation filed against the county, the plaintiffs argue that the county is wrongly denying cash to transients from the General Relief assistance program. The program provides temporary cash for the needy when they fail to qualify for other federal or state programs. The money from General Relief is to be paid back when the recipient receives Supplemental Security Income, a process that can take years, the attorneys argue in the lawsuit. The lawsuit includes three residents who found shelter after the county began cooperating in the federal case before Carter. The lawsuit alleges that the county has "again implemented policies and practices that deny and terminate aid to the most vulnerable populations based on improper grounds." They argue that in 2012 the county settled a class action lawsuit in how it administered the General Relief program from August 2010 to December 2012. The settlement allowed for the repayment of the General Relief funds, but "only after the GR recipient met their basic support needs," the lawsuit alleges. The homeless advocates allege in the lawsuit that the county has returned to "unlawful denials of GR, deterring applicants from filing appeals, constructively blocking the aid paid pending an appeal of the denial, issuing retroactively dated termination notices, and ensuring that the lengthy appeal hearing process leaves vulnerable individuals without benefits or other assistance for months before determinations are made." The Orange County Social Service Agency, for example, "now counts subsidized housing of any type as 'in-kind income,' without limit," the lawsuit alleges. "As a consequence, formerly homeless individuals are forced to choose between a roof over their head and food in their belly," the lawsuit alleges. County officials were not immediately available to respond.